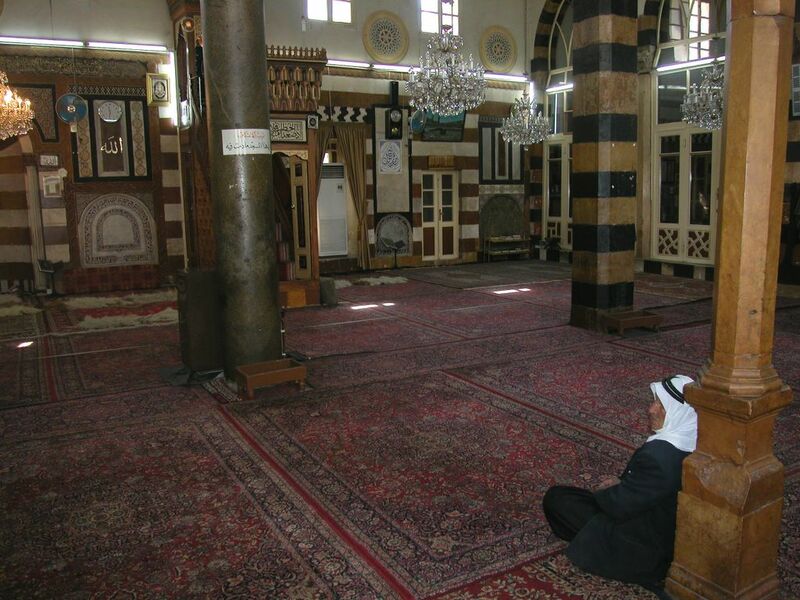 A man waits for the Friday Prayer in the Siba'yah Mosque in Damascus. The Mosque and the Madrassa (religious school) annexed to it are named after Memluk Emir Sibay, who built them in 1515. Salam ya ayman,i wounder what happend with the small ancient mosque that was beside the four season.and i admire your passion for our sha`am. This mosque looks amazing from the inside.. Anonymous, thanks for your comment. I will post about that mosque in the coming few days. I've always been fascinated by the history of mosques.